Our federation receives various notices and they are posted here in topical order and remain for at least a month. 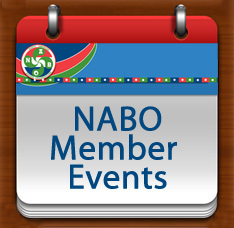 Inclusion here does not imply that N.A.B.O. approves or vouches for the following, but we wanted to make this information available. We are a family of 5 from Durango (Basque Country), and we are looking for an au pair. We started hosting au pairs two years ago, and that way Amaia, a girl from Boise, contacted us. She wanted to be our au pair for nine months to learn basque, visit her ancestors' village, live the basque culture...but the visa she needed demanded 20 official language hours per week and it was impossible. The major house offers 15 hours per week. This year we would need an au pair only for 3 months, from middle september to middle december, and this way the visa is not necessary. Our 3 au pairs before wanted to learn spanish, but we actually speak much more basque than spanish, our environment is basque. 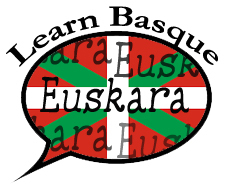 That's why I'm sending this message to the euskaletxeak: may be one of your members or daughters wants to come to the Basque Country to learn euskera, visit the country, dive in the basque culture while living with us. If someone is interested in this offer, please let me know, I really think it's a good opportunity for all. Dear Sir/Madam, My name is Maialen Murua and I am from Legazpi (Gipuzkoa), Spain. 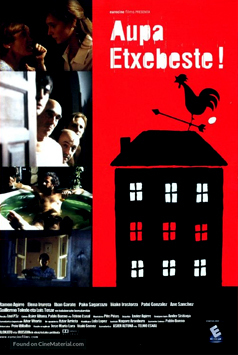 I'm writing to you with the aim of stating my availability to collaborate or work with the "euskal etxeak" that you run and in which I would be interested to take part in, whether it is in the labors of the aforementioned Basque centers or attending to any of the fellow centers. With regards to my personal data, I am 18 years old and I have just initiated my studies on Modern Languages and Translation and English Studies in the University of Alcala de Henares, in Madrid. I am willing to take advantage of the coming summer months (once I have finished my first college year), from June to August, in order to improve my English at the same time I carry out any kind of activity with the pursuit of funding the transport and living costs. Moreover, last year I obtained the Certificate in Advanced English and of course I did pass the EGA exam as well. Furthermore, it is already 3 years since I went through the experience of living a whole month with an American family in Portland and besides this, two years ago I was given a scholarship by the "Eusko Jaurlaritza" which included both an English course and the stay with an English family in Plymouth (England). Taking into account that I am a student and that I have a passion for English, I believe I could fulfill any activity related to both languages (English and Euskera). In fact, I am open to accept anything that could broaden my experience and improve my command of these two tongues. I would be grateful if you could share this email with your partners just in case someone is interested in me. Above all, I would like to thank you for taking the time to read my petition. Hope to hear from you soon. Yours faithfully. My name is Amélie Biscay, I am 16 and I live in Urrugne in the Basque Country. My hobbies are reading, cinema and practicing Handball. I would like to do a language stay between 3 weeks and a month and stay with a family in United States. It could also be some different stays of a week with different families, depending on what would suits you the best. My parents would also be really happy to welcome your child to the Basque Country if you would like to do an exchange. I'll be waiting for your answer and then we can talk on Skype. Nafarroatik idazten dizuet zuekin lan egiteko eskakizunak ezagutzeko. Lehen Hezkuntzako Magisteritza Ikasi dut eta EGA tituloa daukat. Atzerrira ateratzeko planak dauzkat eta bertan euskara irakasle moduan lan egitea ezin hobea izango litzateke!! Je me permets de vous écrire, afin de pouvoir rentrer en contact avec la communauté Basco-Américaine. Étant Basque et vraiment fier de mes racines, ma famille De Eizaguirre est originaire de Tolosa, elle a bâti d'importants édifices sur la côte Basque. Mon objectif est d'arriver à créer des liens, trouver du soutien grâce à vous pour réaliser mon projet de venir travailler aux USA, pour trouver un meilleur avenir, en espérant arriver en fin d'année ou l'année prochaine. En effet, mon expérience professionnelle est vaste, ma formation est un Diplôme de Commerce, maitrisant parfaitement la vente, j'ai travaillé dans des golfs, des Magasins, au mois d'avril, je démarre un job de réceptionniste dans un hôtel trois étoiles à Biarritz, je suis ouvert à tout type de poste qui me permettra de rester aux USA. Vous seriez très aimable de transmettre mes CV, à des entrepreneurs Basque ou des sociétés qui recherchent du personnel, n'hésitez pas à me contacter si vous pouvez m'aider..
Veuillez agréer, Madame, Monsieur, l'expression de mes salutations distingués. Itzultzaile autonomo bezala nere zerbitzuak eskaintzeko idazten dizuet. Jatorrizko euskal eta erdal hiztuna naiz, Filologia Ingelesean lizentziatua Deustuko Unibertsitatetik eta unibertsitate berbereko Itzulpen Masterra (Ingelesa – Gaztelaniera – Ingelesa) dut – baita University of West London-eko Informatikako lizentzia ere. Ingeleseko irakasle izan naiz, Itzultzaile bezala lan egin dut – izatez, nere oraingo postuan Dokumentazio eta Euskarri Analista bezala, noizbehinka itzulpen lana egiten jarraitzen dut – eta Ingalaterran bizi izan naiz 11 urtetan zehar. Nere ama hizkuntzei dagokionez, lehen eta bigarren hezkuntzetako ikasketak ikastetxe elebidunetan egin nituen, gaztelaniako irakasle izan naiz eta EGA titulua dut. Nere karrera profesionalaren deskribapen zehaztuago bat, eransten dudan curriculumean aurkitu ahal izango duzue. Besterik gabe eta aldez aurretik eskerrak emanez, zuen erantzunaren zain geratzen naiz. Miren eta Irati gara, 18 urteko 2 neska euskaldun (oñatiar), eta aurtengo udari begira ere hainbat ekintza antolatzeko gogoz gaude. Hau gure lehen urtea da unibertsitatean. Ni, Irati, Itzulpengintza eta Interpretazioko gradua ikasten ari naiz, eta Miren fisikako gradua. Lau hizkuntza dakizkigu: Euskara (EGA titulua, eta gure ikasketa guztiak hizkuntza honetan), Ingelesa (First Certificate in English eta Advancerako prestakuntza), Gaztelania eta Frantsesa. Badira 4 urte atzerrira joaten hasi ginela udan, batez ere ingelesez mintzatzeko asmotan. Argi dago esperientzia hauetatik jaso duguna hizkuntzaz haratago dagoela; kulturari buruz ere asko ikasi dugu nazioarteko programatan parte hartu dugulako. Orain dela 2 urte bolondres lanetan aritu ginen Erresuma Batuan zehar eta ezagutza asko geureganatu genituen. Uda hau ere kulturalki eta pertsona moduan aberasteko baliatu dugu, gure kabuz bidaiatu baitugu Europan zehar. Bestalde, Irlandan ere egon naiz ingelesa ikasten. Aurten, zuekin proiektuak antolatzea gustatuko litzaiguke, euskara eta euskal kultura zabaltzeko. Hau horrela izanik, hainbat ideia ditugu buruan: Alde batetik, gazteentzat euskal udalekuak antola ditzakegu, bertan herri kirolak, euskal kantak, jolasak, euskal dantzak, antzerki tailerra... egiteko aukera eskainiz. Bestalde, mintza-praktika ere landu dezakegu euskara klaseetan, irakurketa-tailerrak, euskal tituluetarako prestakuntza eta gure kulturaren (mitologia, historia, ohiturak, bertsolaritza, literatura, musika, jaiak, zinema...) zabalkuntza bultzatu nahi dugu. Interesa izanez gero, 2 programa antolatuak ditugu jadanik hainbat ekintzekin. Zuen proposamenen eta gonbidapenaren zain gelditzen gara. My name is Zaloa. I am 26 years old. I am a student, and I work with children and people with disabilities. I would like to practice my English somewhere where people know the Basque language, because this language is native for me. I would be happy to teach our language, our culture, our habits ... out of this country. I love to go to a place where it is possible to find work to afford me enough to live. My English level is B1, I have this certificate, but next month I'll start with the B2 level. Hopefully you could help me from there. I'm Iñigo Iraola, a Basque that is finishing his Master of Science in Engineering Technology with a Minor in Network Communications. I´m actively looking for a full time job in engineering in North America, and I've decided to contact you. I wonder if you have an enterprise database or list I could check so that I could contact them to know if they have any openings in the near future. Karlota Ajenjo naiz, Iruñako neska euskalduna. Zuekin harremanetan jarri nahi nuen jakiteko zuen euskal etxeari buruz. Ingeles filologa naiz baina aurten egon naiz euskara ikasten eta EGA atera ondoren beste euskaldun giro bat ezagutzeko gogoa piztu zait. Nire asmoa da euskaldun giro batean lan egitea. Ez dakit eskaintza dagoen zuen lekuan baina izugarri gustatuko litzaidake hara joatea. Erantsita utziko dizuet nire curriculum vitae. Hello, We are a basque family, who lives in Barrika (Bizkaia, Basque Country) and we want to make a proposal to another basque family in the USA .Our daughter or our son wants this summer go to the United States would have to spend months to practice english and know better basque culture in USA. My daughter is 14 years old and my son 16 (We have and other child more young, 10 years old). We also offer the youth of USA come to our house where he/she can enjoy Basque and Spanish as well as learn about the Basque culture. He/she can also go surfing and do other sports, as well as touring the beautiful place of the Basque Country. It is our firm commitment that the youth enjoy his/her stay with us and to learn more about our beloved and ancient country. If you are interested visiting Euskal Herria (Basque Country), please do not hesitate to contact me. My name is Alazne, we are a young couple that is looking for a person that would like to stay between July and the first two weeks of August (any period of time) with our family in Algorta (it is a cost village near to Bilbao in the Basque Country). We have two children's of 2 and 3 ½" year old and we are looking for a person that would like to take care of our children some morning (we work shift) while we are working and stay with us as new member of our family sharing our different cultures and languages. For us is very important to feel as part of our family. We are a family from Villabona who would like to let you know that we have an apartment and would like to do an exchange now or in the summer. If you have a family member who would like to visit the Basque Country or learn Euskara, this would be a wonderful opportuntiy for them and for us as it would also give us the opportunity to practice English. So if you know about any family or someone that would like to come and visit the Basque Country, tell us! We are going to be very happy! Sergio Jimenez Ugalde would like to work as a cook. View his CV. Aitziber Azpiri Grande. My name is Aitziber, I am 27 and I am from Lekeitio (Bizkaia) Basque Country. I studied business administration and direction and in October I will start a master. But before I start the master, I am very interested in going to USA to improve my english in the months of July and August and for this reason I am contacting all of "euskal etxeak" from USA. I was wondering if I could work for you in any position (like a waitress in a restaurant, babysitting, teaching Basque ...) or if you could put me in touch with someone to work there for two months. Iñigo Basabe. My name is Iñigo BASABE and I'm 14 years old. I live in VITORIA GASTEIZ in ALAVA, with me also live my brother of 19 years old. I will like to now how is the culture of that country. My proposal is go in summer and that any other boy or girl come to my house. My dad like a good Basque person is a good cooker, and we will love to receive the people in our house. We will like to speak with someone of the association, Euskal etxea that speak Spanish to speak with my father, but my brother and I we hardly ever speak in Basque. We will do from skype in the user of my dad that is izarra38 the day and the hour that we will say. Also I have twitter that my user name is @basabe65 and my facebook is Iñigo Basabe. A good love from VITORIA and Eskerrik asko. Maitane Solaun. My name is Maitane. I am fron San Sebastain/Donostia, but I live in Barcelona right now. It's been years since I want to move to the United States, but I found out it is quite difficult to find a job from here, and without a job it is not possible to get a working visa. Surfing through internet I just found your website and thought that mayba you can help me with my plans. If it is not so, thank you for reading this email at least. Ican send you my CV in English or Spanish (I can also translate to into basque in a moment). I have studied translation and I have mainly worked in Tourism Field in the last years. I hope to hear from you.